Congratulations to our Vice President, Lorna McKinlay, on being selected to play in the Scottish Veteran Ladies Golf Association's team against the Irish Senior Ladies team at the lovely Murcar Links, Aberdeen on 9th and 10th April 2017. This annual competition for the Mary McKenna Salver has been played since 2000 with Ireland leading 10-6 in the series having won the match for the last seven consecutive years. It must be Scotland's turn this year. It is a friendly but competitive match and some great golf is sure to be on display for supporters and spectators who are very welcome. We wish Lorna and the Scottish team good luck. Please note that our Conditions of Competition (including competition entry procedures) and Local Rules applying in all F.C.L.G.A. events have been updated and drawn together in one page which the Committee believes will be helpful to Members. There are two additions which we would draw your attention to. The first relates to the obligation on any player using motorised transportation (normally a buggy or scooter) to ensure that there is appropriate insurance cover in place. The second relates to the introduction this year of a new Local Rule allowing a ball/ball marker on the green moved accidentally by the player (or partner or opponent or any of their caddies or equipment) to be replaced without penalty. The Committee encourages Members to read the full text of the Conditions of Competition and Local Rules which can be found in the Conditions of Competition & Local Rules tab on the left side of the home page. The Fife County Ladies Golf Association Winter 4'somes Finals took place today (Wednesday 29th March) over the Eden Course, St Andrews. 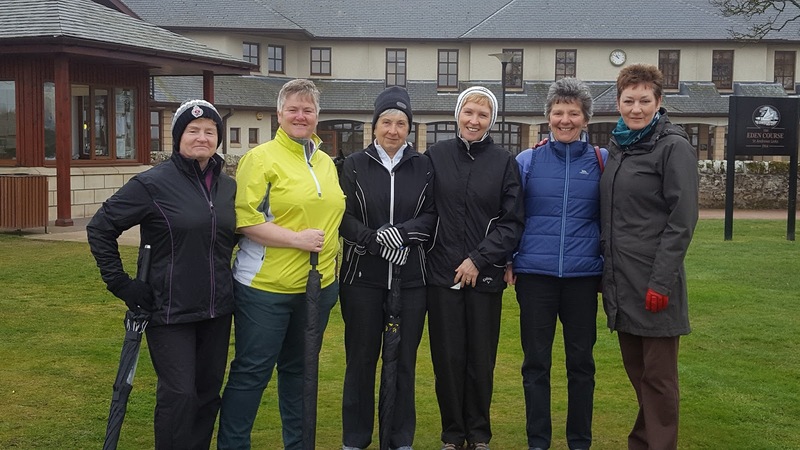 Both the Silver Division & Bronze Division finals were between Dunnikier Park & Thornton. 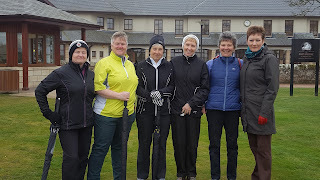 Dunnikier Park ladies won both finals - Congratulations. 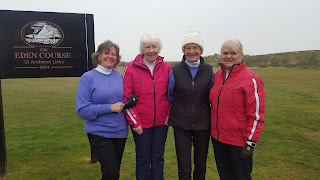 And in the Bronze Division Patricia Duncan & Jean Briggs beat Mary Pettigrew & Nancy Finnie 2 & 1. Unfortunately the mist and rain decided to move in towards the end of the matches but both games were played in great spirit. Thank you to all who came along to watch and support the ladies. Evanna currently holds a handicap of 5 and she won the FCLGA Junior Championships in 2015 & 2016. I have every confidence in Evanna to lead her team on the day. On behalf of FCLGA I wish them every success. The Finals of the County Winter 4'somes Competition will take place on Wednesday 29th March over the Eden Course, St Andrews. 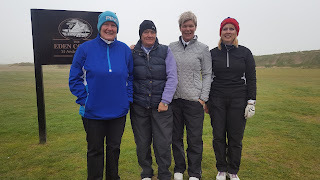 in the Bronze Division Final - again it is Dunnikier Park v Thornton - Tee Time 10.56am. Congratulations to both teams and well done on reaching the final. Is this a first where we have had all finalists from both divisions from the same clubs? Good luck to you all and here's to some nice weather on the day. Spectators are more than welcome to go along and support the ladies on what I'm sure will be 2 great finals. 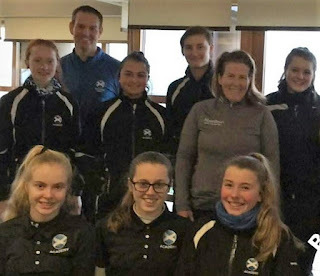 Three of our junior members Evanna, Porscha and Anna were at St. Andrews last weekend for winter training with the Scottish Golf Academy.